I love having easy to reheat meals on hand for those days when I’m too lazy to make myself a sandwich. Sometimes all you want to do is pop something in the microwave and have a full meal. I hate resorting to the freezer aisle at the grocery store. 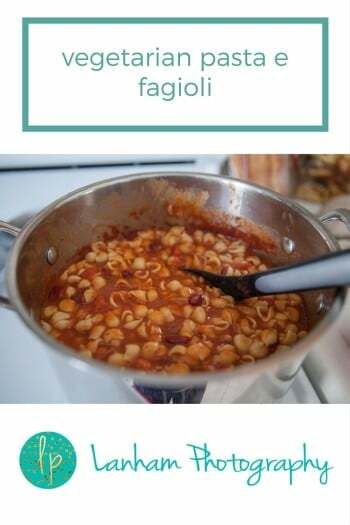 This Vegetarian Pasta e Fagioli is better than anything you’ll find in the freezer section. It’s so easy to make and to store in the freezer for those days, or nights, when you just don’t feel like doing anything but popping something in the microwave. It’s made with V-8 juice so it’s full of vegetables. We also throw grated carrot in for an extra punch of vegetable. 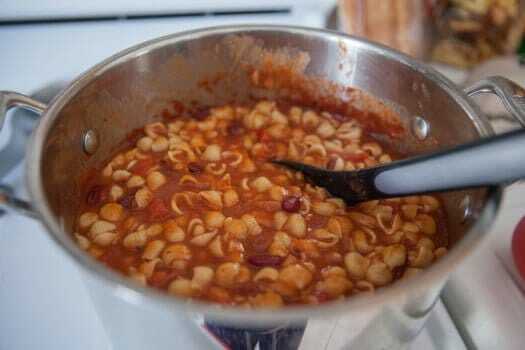 And the beans add enough protein that this meal keeps you feeling full for a long time. But you still feel like you’ve eaten something amazing for yourself, and it was delicious! This recipe makes a little too much for just my husband and I to finish in the course of one week, we’d have to eat it for breakfast, lunch, and dinner (which hey I’m not necessarily saying is a bad thing). So we freeze it to have it whenever we want. I always keep some of this in the freezer, because it’s just so easy to make, and we love to eat it. Throw everything in the pot and then let it cook. Add your pasta at the end. 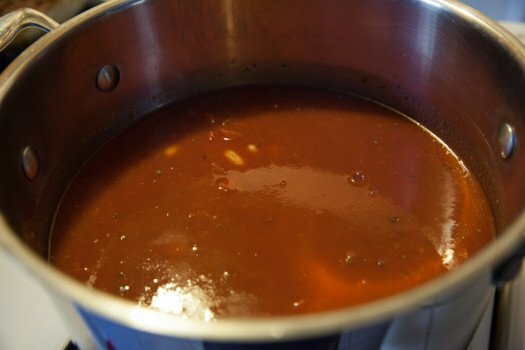 It’s a thick and hearty soup. 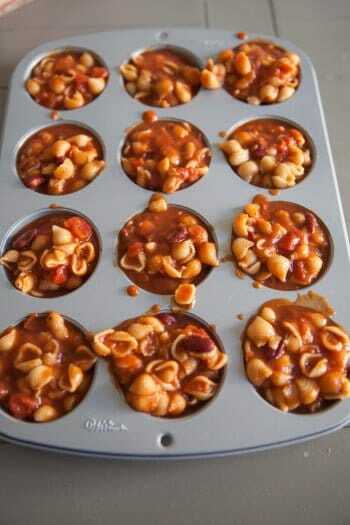 You can ladle the soup into muffin pans for easy freezing. 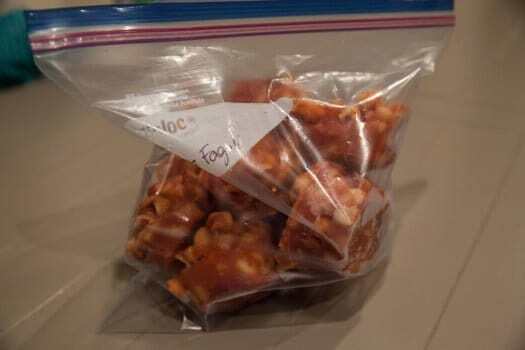 Then you can package it in freezer bags and have easy portions to pop out and reheat. Add in water to thin out soup. I like my soup pretty thick, so I only add about 2.5 cups of water in. Allow to cool, then portion into muffin tins or freezer bags. 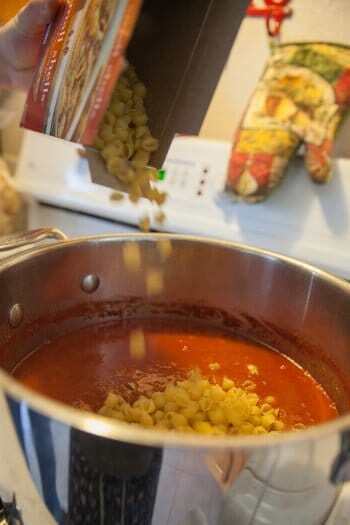 If you put it in muffin tins, pop the tins in the freezer for about 2 hours to allow soup to freeze, then take the soup out of the muffin tins and package the portions it into zip lock bags. When ready to eat, thaw one bag or a couple portions in the fridge overnight and then microwave soup 3 minutes until warmed through. You can also rewarm it on the stove, although this takes longer. This recipe fills about 4 muffin pans, so you’ll get 48 frozen portions. 2-3 portions is good for one person for lunch or dinner. 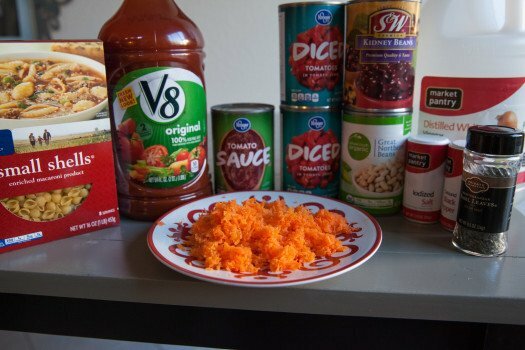 So you have approximately 16-24 meals for one person. If you’d like more ideas for easy weeknight dinner, be sure to follow my Pinterest board!